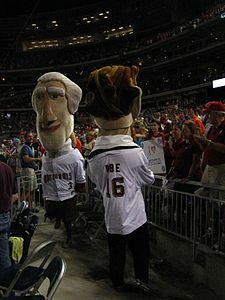 ^ "Crasnick: Starting 9 -- Bryce Harper, you're next". ESPN.com. June 2, 2010. Retrieved March 26, 2017. ^ "Daniel Murphy Stats | Baseball-Reference.com". Baseball-Reference.com. Retrieved September 21, 2017. ^ "Postseason Results". Washington Nationals. Retrieved October 26, 2016. ^ "WDCA will air 76 Nats games". Washington Times. Retrieved April 15, 2018. 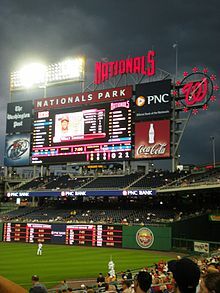 ^ "105 Nationals Games In HD On MASN In 2009". Nats320. February 13, 2009.